CK12 is the designation for a justifiably famous condenser microphone capsule invented by AKG and used in numerous classic mics such as the AKG C-12, the 414, and in Telefunken’s ElaM-251 mics, among others. Diaphragm gauge and material ranged from the original 10-micron Stryoflex plastic to 9-micron Mylar to 6-micron Mylar. The size of the chambers between the two backplates grew, to produce a 3dB increase in sensitivity (needed by then-new FM broadcast stations). This change had the side-effect of creating additional high-frequency response. The tensioning ring was originally brass, attached via screws, but later nylon with a friction attachment mechanism, saving production complexity and cost. AKG manufactures two different versions of the so-called “Teflon” CK12; the backplates of the two capsules differ. Read more about the various historical versions in Stephen Paul’s history of the CK-12. All CK12 capsules have dual diaphragms (and as such are multipattern-capable), and dual backplates. All diaphragms, regardless of film composition or thickness, have been metallized with gold. Saturn Sound has created a fine cutaway diagram of the CK12 capsule assembly, with photos of most components. The original CK12 Teflon was rather gray in sound, and neutral in its midrange response. In the late 1980s, AKG tried to regain market share for the 414 series of solid state mics by re-shaping the backplate of that capsule, using … a couple of my fine tuned original CK12 brass capsules … as [a] template. Telefunken Elektroakustik (formerly Telefunken North America) began manufacturing a replica CK-12 in 2002. The company acquired some proprietary information about AKG’s assembly techniques and tools (such as tensioning jigs). As of late 2005, the company was able to produce 400 capsules per year, of which 50% were rejected. 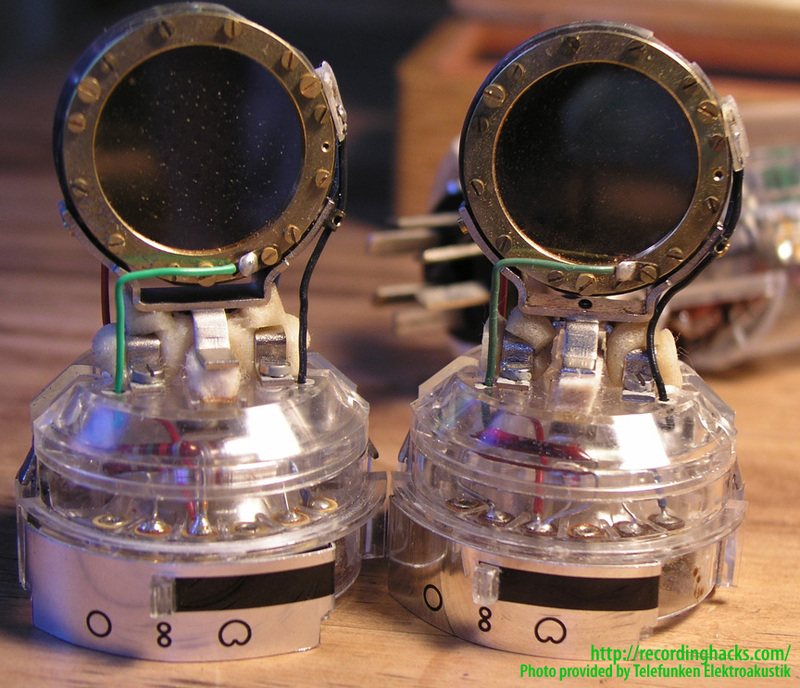 Regarding AKG’s modern CK-12s and the cloned capsules manufactured by Telefunken Elektroakustik and others, Klaus Heyne has stated that the originals have yet to be truly recreated. 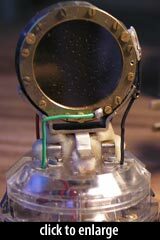 Nobody in the world, not even AKG, has so far succeeded in copying that complexity well enough to come up with a capsule clone of equal sonic characteristics: The backplate alone is a complicated composite construction, marrying plastic and metal, and requiring lapping processes that are not presently applied by any of the manufacturers of CK12 clones. The orignal CK12 contains numerous dimensions of crucial capsule sub-components with widely varying measurements, supplied by different sub-suppliers and ending up in a hodge podge on AKG�s assembly tables. This makes it impossible today to reduce this capsule to just one design. Likewise, the plastic composition, tensioning, and sputtering techniques used by AKG for its diaphragms in the 1950s through the mid 1970s were idiosyncratic and cannot be found in current generation clones.